Oil hair treatment is a hair beautifying procedure that has to be applied as frequently as it’s possible. Basically, oil hair treatment should be applied to hair once a week unless hair is super damaged. In this case, such strands should be treated with oil hair treatment even every other day. To make a long story short, oil hair treatment is similar to applying a hair mask. The only two differences though are that, firstly, hair oil’s consistency differs from hair mask’s and secondly, hair oil can be applied also to scalp, not only to hair. Oil hair treatment is the only beautifying procedure that is able to nourish hair deeply. Molecules of oil penetrate hair and its bulbs delivering regeneration, nourishing substances and at the same time protecting from any possible toxins. Additionally, natural oils create a kind of protection coat around hair that foils toxins, originating from the environment, that try to penetrate inside the strands. As a result, hair ageing processes are effectively slowed down. Oil hair treatment can be performed a few ways. However, it has to borne in mind that each method affects hair differently (it varies in terms of intensity). In other words, depending on the method, hair can be intensively regenerated, thanks to deep hair bulbs regenerative treatment, or just delicately nourished and protected. The classification presented below describes methods of applying oil hair treatment. They are arranged from the most intensive treatments to the most delicate methods of hair beautifying action. 1. OVERNIGHT OIL HAIR TREATMENT – hair oil has to be applied to damp or dry strands and (or rather, primarily) to scalp. The oil has to sit on hair all night or, at least, for an hour so as to enable the molecules, the oil contains, to ‘nest’ inside the hair bulbs and along the hair shafts. 2. BEFORE SHAMPOOING OIL HAIR TREATMENT – this method depends on leaving an oil on hair (and scalp) from approximately a quarter of an hour up to a half of an hour and then rinse it off using a delicate shampoo. Indeed, the oil’s action is shortened but the product will manage to nourish not only hair but also its bulbs. In order to facilitate action an oil delivers, it’s advisable to put a plastic cap or a warm towel on head. It’s often overlooked but natural oils get along with warmth. High temperature intensifies oil’s action. 3. CONDITIONER & OIL HAIR TREATMENT – this method of oil hair treatment depends on combining a few drops of an oil with a hair conditioner or a hair balm. Such a mixture has to be applied to hair. What’s important, the mixture shouldn’t be applied directly onto scalp; conditioners and balms can weight hair down. To summarize, hair oils intensify action that hair cosmetics deliver. 4. POST-SHAMPOOING OIL HAIR TREATMENT – it’s the most subtle method of oil hair treatment as well as it’s beneficial for strands. This method depends on applying an oil from the middle-lengths downwards. During the procedure strands can be either dry or damp. A hair oil’s action can be compared with a leave-in conditioner or serum for damaged hair ends. 5. HAIR MIST & OIL HAIR TREATMENT – it’s a method that depends on mixing a portion of a hair oil (usually it’s approximately 5 ml, so a capacity of a teaspoon) with water, hydrolysed keratin, hyaluronic acid, herbal infusion and aloe… or with any other ingredient that is handy at a moment and the action of which is considered beneficial for hair. To demonstrate, you can use for example honey, lemon juice and milk. Such a liquid mixture has to be poured into a bottle featuring atomiser to facilitate spraying hair. METHODS OF OIL HAIR TREATMENT – WHICH IS THE BEST ONE? In this case, one definite answer doesn’t exist. Some hair will get along with overnight oil hair treatment whereas other will do being treated with an oil sitting for an hour. Some strands will amaze with their shine thanks to applying an oil whet they are damp whereas other will benefit more when the procedure is performed when dry. 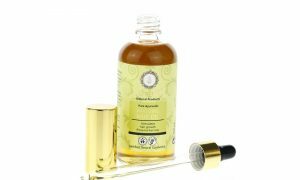 Generally, it would be best to give a try to all of the above-mentioned oil hair treatment methods and, by observing your own strands, choose the best option. It’s important though, not to resign from applying an oil to scalp and hair bulbs. Definitely, this is the only way helping us to gift our hair with health and regeneration. Definitely, you must have come across the term if you are interested in hair care. In short, hair porosity determines how damaged your hair is. Simply, hair porosity can be defined by observing the degree at which hair cuticles are raised from the hair shaft. The greater the distance, the more damaged hair is. If observed under the microscope, raised hair cuticles make a hair shaft look as if it was jagged or torn. The term ‘hair porosity’ often appears when discussing the issue of oil hair treatment. It’s like that because hair oils need to match the level of hair porosity. In other words, not every hair oil suits each hair type. Low porosity – of cuticles touching the hair shaft. These are thick and heavy strands. It’s not brittle but it can fall out since it gets greasy too intensively. Medium porosity – of cuticles slightly raised from the hair shaft. Such strands require protection, nourishment and often need hair ends regeneration. It gets frizzy and happens to be dull and hard to tame. High porosity – is damaged hair of greatly raised cuticles. It’s dry, matte, brittle and falls out too excessively. Its volume is poor. Good news is that hair porosity can be diagnosed in a trichologist office. However, a careful observation of your strands is enough to determine the type of porosity they are. The above-mentioned characteristics of hair porosity will definitely enable most women to define the level of their hair porosity. 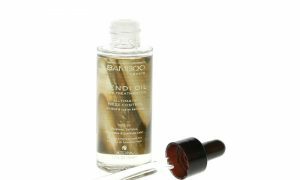 Natural oils have to match the degree at which hair cuticles are raised from hair surface. For that reason, natural oils should be chosen with having rules of hair porosity in mind. LOW POROSITY HAIR – the most helpful are all cosmetic butters and dense hair oils such as: coconut oil, monoi oil, babassu, shea butter, cocoa butter. MEDIUM POROSITY HAIR – the most helpful are the following oils: almond oil, avocado oil, argan oil, macadamia oil. HIGH POROSITY HAIR – the most helpful are the following oils: grape seed oil, sunflower oil, wheat oil, linseed oil, pumpkin seed oil, black caraway seed oil, corn oil.